We operate from six locations on the Island of Maui. Although, the majority of visitors arrive at OGG airport. We also have cruise ship locations for Lahaina and Kahului. 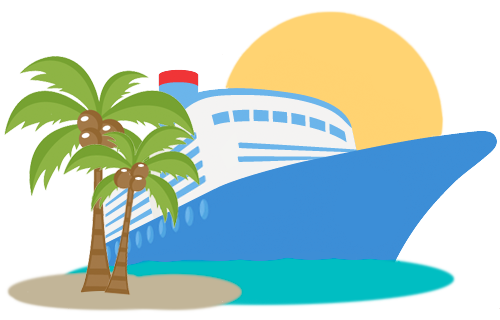 Our rental partners will send a free shuttle to and from the pier for cruise ship rental customers. You can phone them if you do not see a shuttle (we provide all the necessary information in your rental confirmation email). We always recommend asking a crew member on your ship where to go to wait for the shuttle. 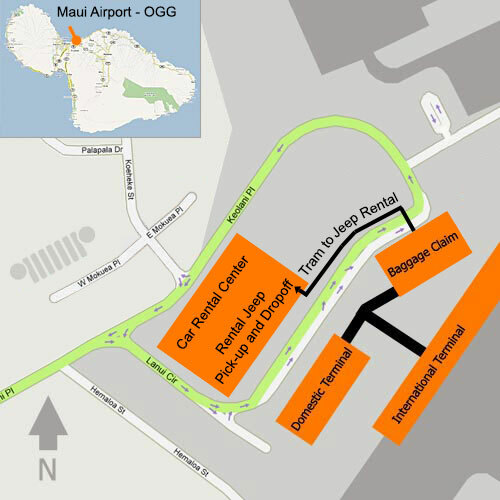 All of our Lahaina rental partners will send a free shuttle to and from the pier for cruise ship rental customers. You can phone them if you do not see a shuttle (we provide all the necessary information in your rental confirmation email). We recommend asking a crew member on your ship where to go to wait for the shuttle. A driver’s license and credit card in the driver’s name must be presented on picking up you Jeep.